Robert Cope Harland ended his career as a British spy in an Austrian hospital, after being tortured and beaten by Czech security agents in the last days of the communist regime. He was young enough then to find a new life with the Red Cross and then with the UN. Twelve years later his UN plane crashes in mysterious circumstances at La Guardia airport, New York and Harland is the only survivor. Was it sabotage, and if so, was Harland the target? It is soon clear to Harland that the answers are to be found in his past, a past which, along with its secrets and tradecraft, he has desperately tried to forget. And now the crash has thrown him back into a world of relentless intrigue and mistrust, to his youth, and a life-changing love affair . 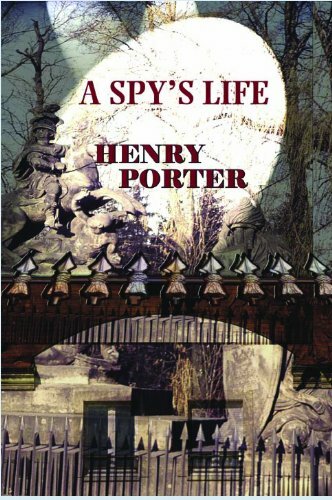 . .
Henry Porter's A Spy's Life surpasses even its predecessor Remembrance Day, which achieved an unprecedented amount of enthusiastic word of mouth. Here, he brilliantly blends the thriller elements into a bizarre and surrealistic narrative that constantly surprises the reader.